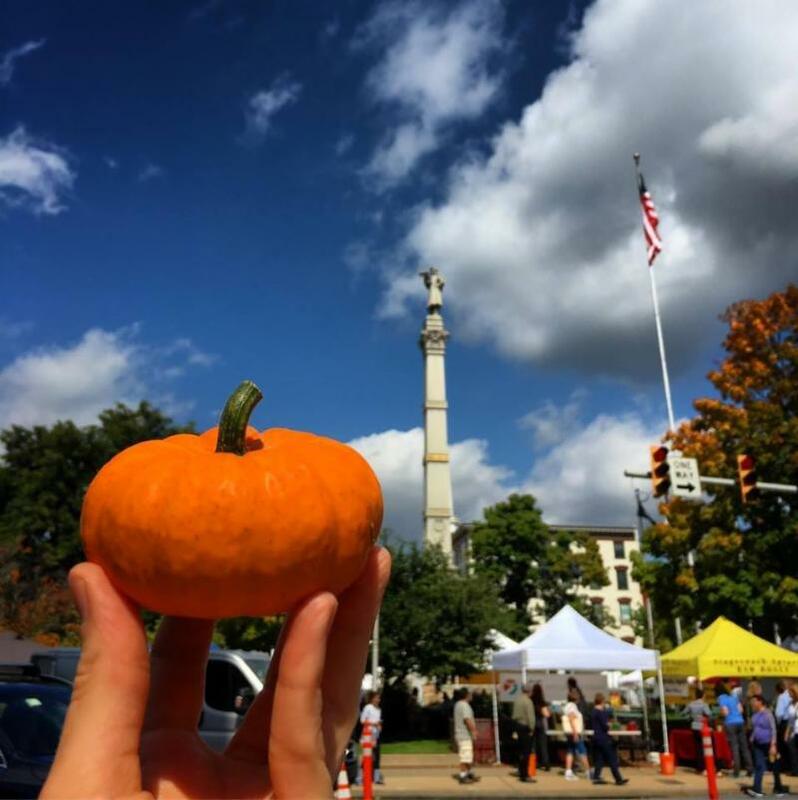 Hot soup, cold cider, and lots of pumpkins! See you in the Circle! Cool weather is FINALLY here and that means time for some home cooking and fall decorating. Our farmers have everything you need for hearty soups and stews, and our bakers have the crusty, scratch-made breads to accompany them. Mulled cider, apple pie, pumpkins for carving... you get the idea. 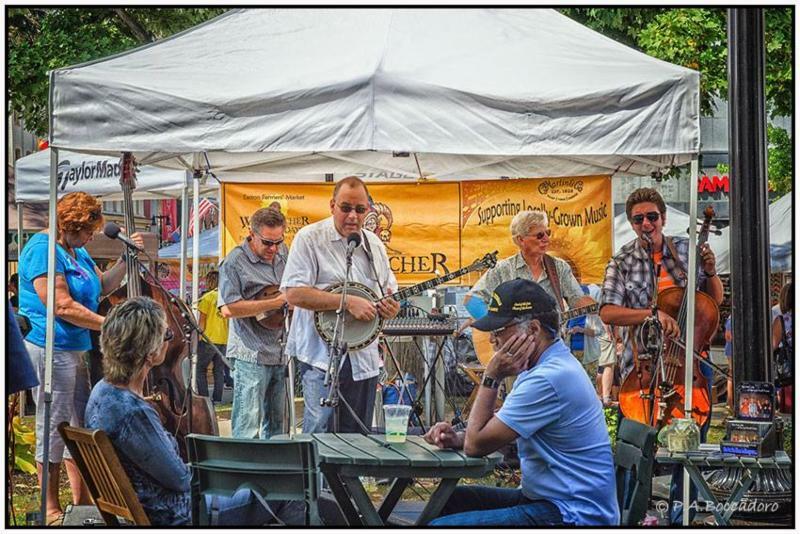 Come join us for a brisk day in the circle with the bluegrass beat of Last Small Town! Congratulations to our September Prize Winners! Be sure to pick up your October Local Heroes Rewards Card at the Info Tent on Saturday. 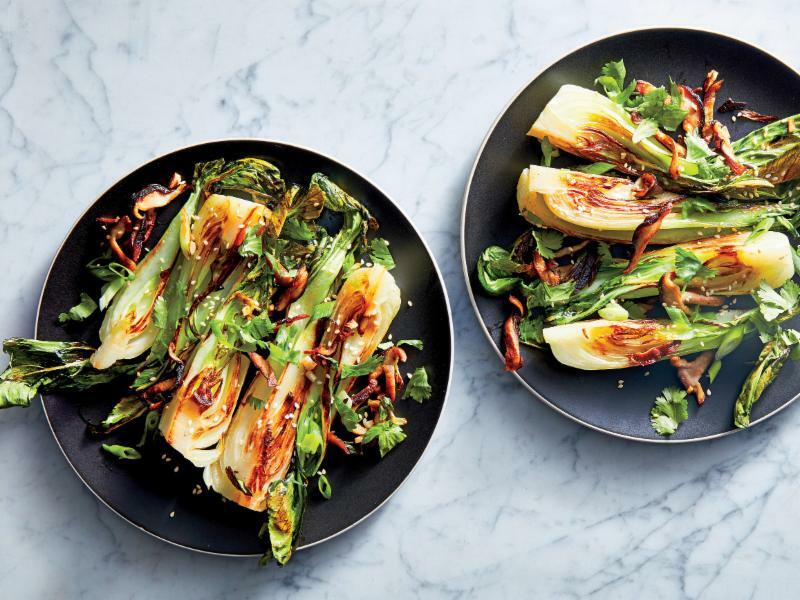 Bok choy is the new darling of farm-to-table cooking and it's coming in strong now. Garlic, fresh lime, sesame and cilantro provide a delicious supporting cast for crunchy bok choy in this recipe. You'll find bok choy at Salvaterra's Garden and Blooming Glen Farm. Apple Ridge has great garlic and the Shiitakes are at Primordia. Oh, and don't forget the cilantro at Salvaterra's! 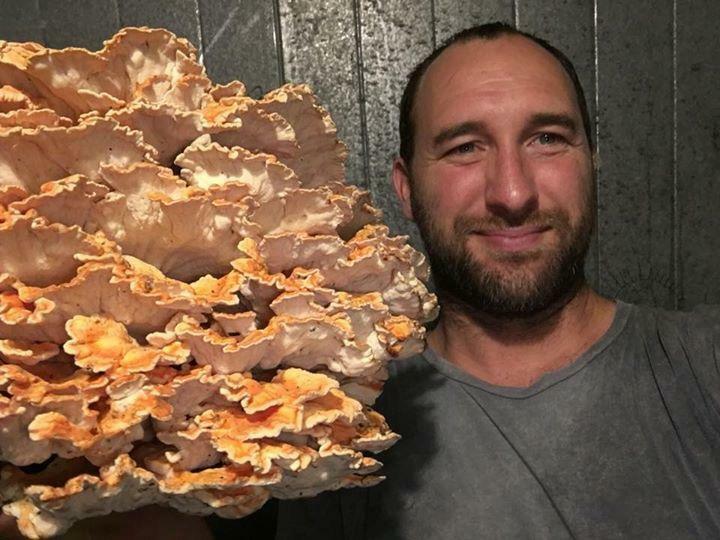 Chicken of the woods mushrooms are overtaking Primordia! Get yours tomorrow. This mushroom delicacy has a meaty taste. Some think it tastes like its chicken namesake; others describe the flavor as being more like crab or lobster. Whatever your opinion, chicken of the woods makes a great substitute for meat in almost any dish. Ida Red, Suncrisp, and Cameo apples arrive this week. And believe it or not, there are still an ample amount of summer veggies including zucchini, tomatoes, cucumbers and peppers! And every Friday is cider-pressing day at Scholl's so be sure to get yours tomorrow. 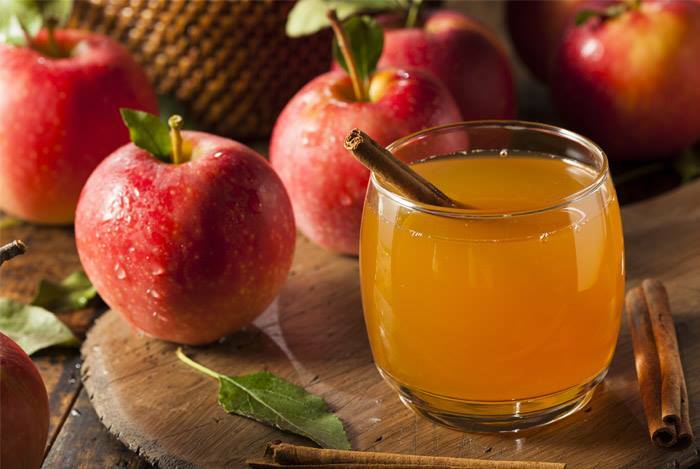 With cooler temps finally here, you may want to enjoy some hot mulled cider this weekend! It’s turning a little cool this weekend! Great weather to break out the smoker! 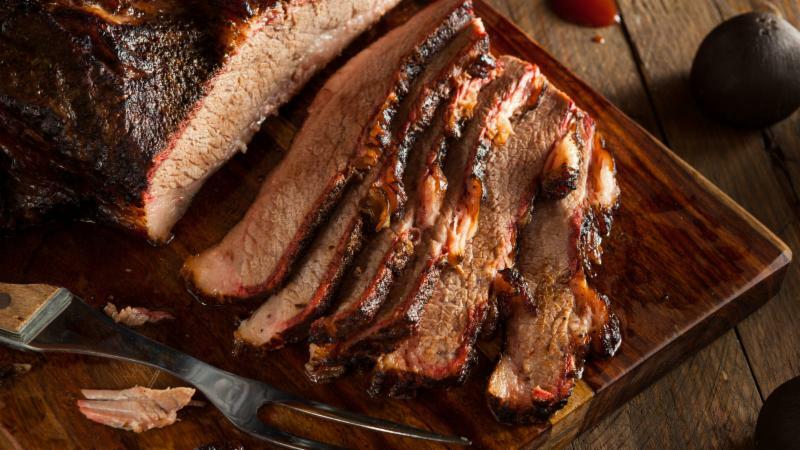 Come on out this weekend to the Easton Farmers Market and grab a nice grass fed grass finished brisket, chuck roast or short ribs. If that doesn’t work for you, check out our pastured pork shoulder roasts or Boston butts, or a nice pastured chicken. 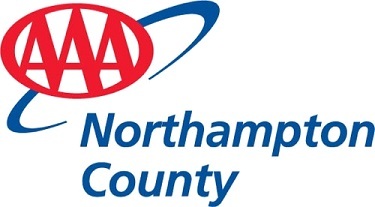 Don’t forget Baconfest is on the way! 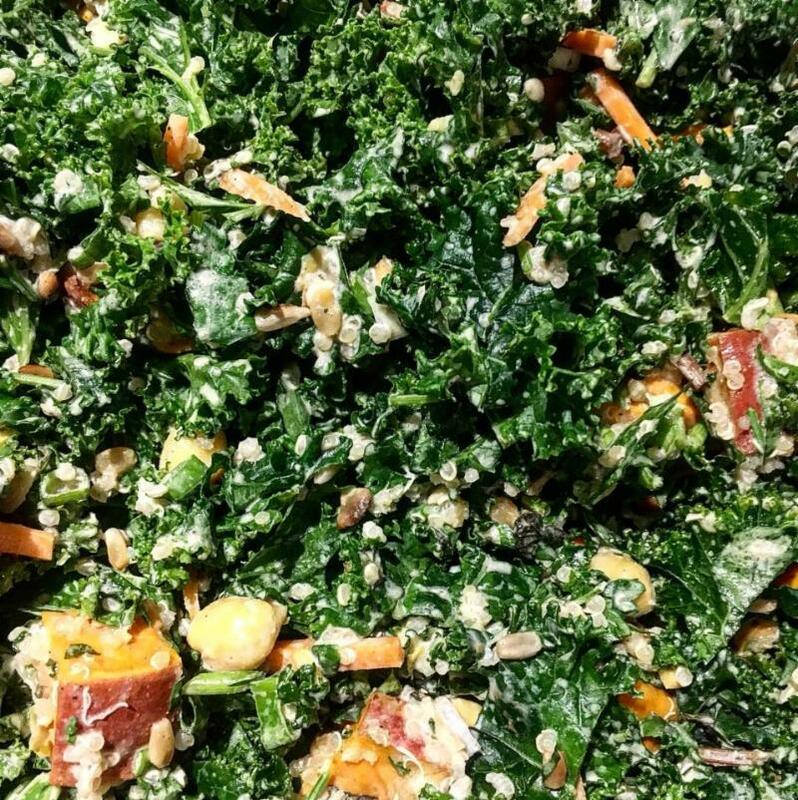 In case you didn't get a chance to join in on the Garlic festivities, the Farmstand is making another batch of the Garlicky Kale Power Salad. Everything but the sweet potatoes and adding in a bunch of extra garlic from Apple Ridge Farm. Stock up on your vegetarian salads and energy bites for weekday lunches or weekend adventures! 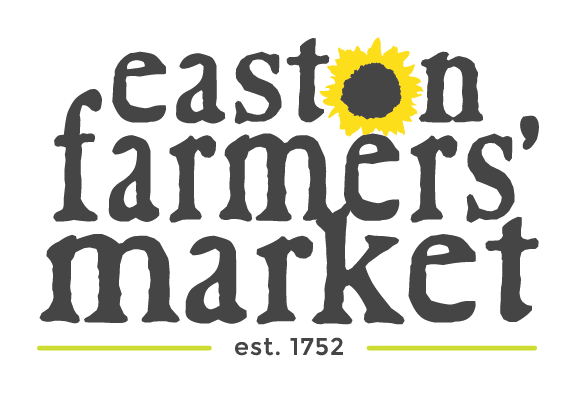 Also, make sure ask what Farmstand Recipe soups have returned inside the Easton Public Market! 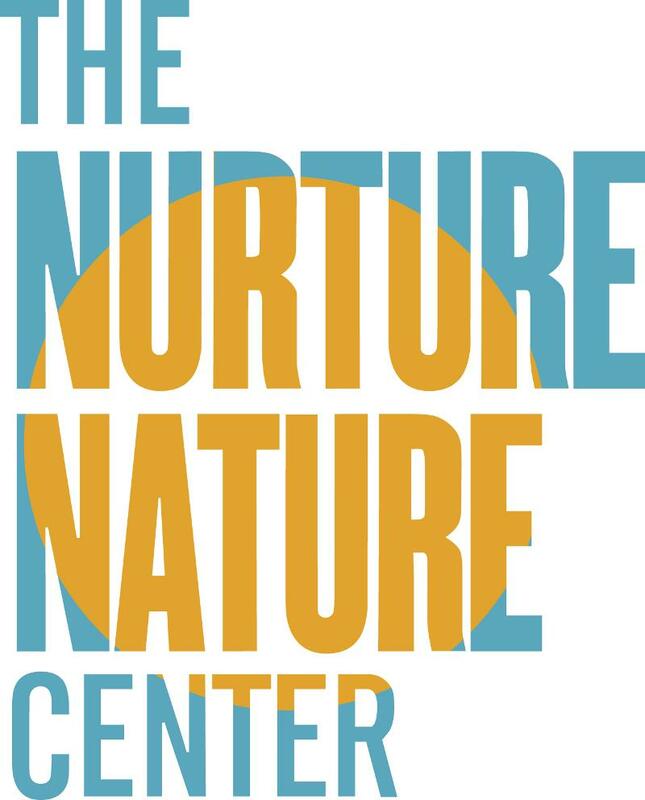 A portion of proceeds from every sale will benefit the Easton Hunger Coalition to support the coalition’s new initiative to develop and serve meal kits to those in our community who are food insecure . 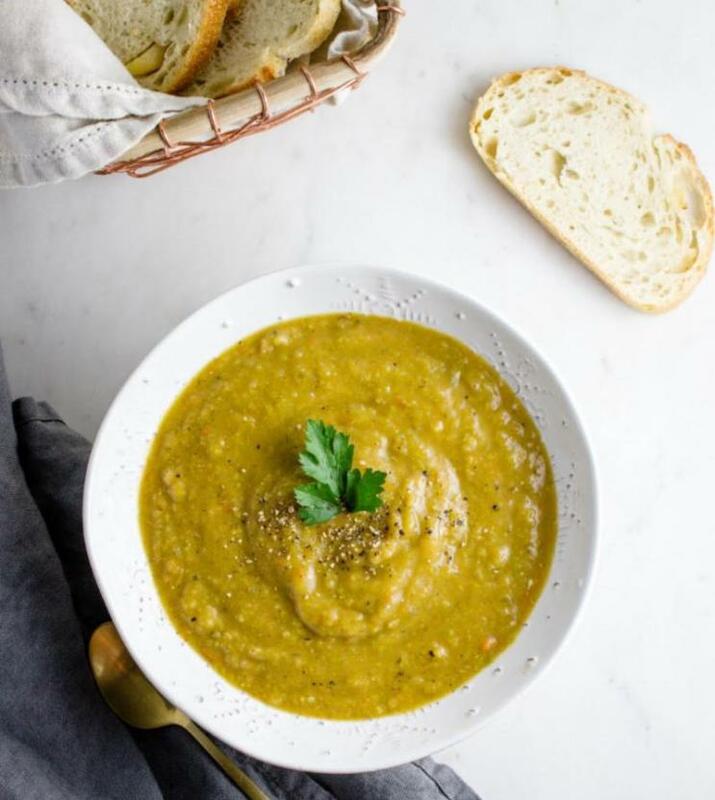 Warm up with Aladdin's famous split pea soup - vegan and gluten-free! 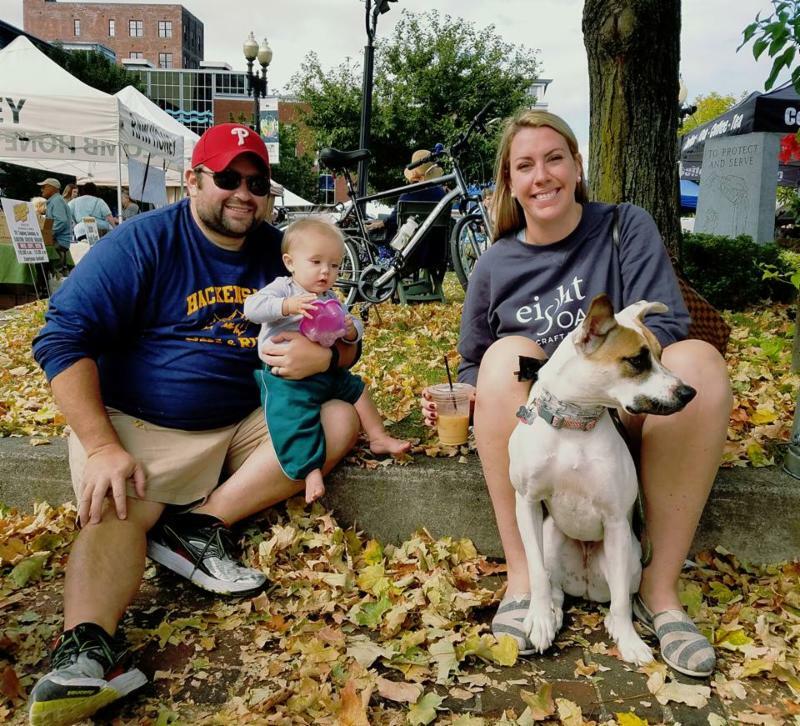 The Dining Dog is back this weekend and it's all about the pumpkin! 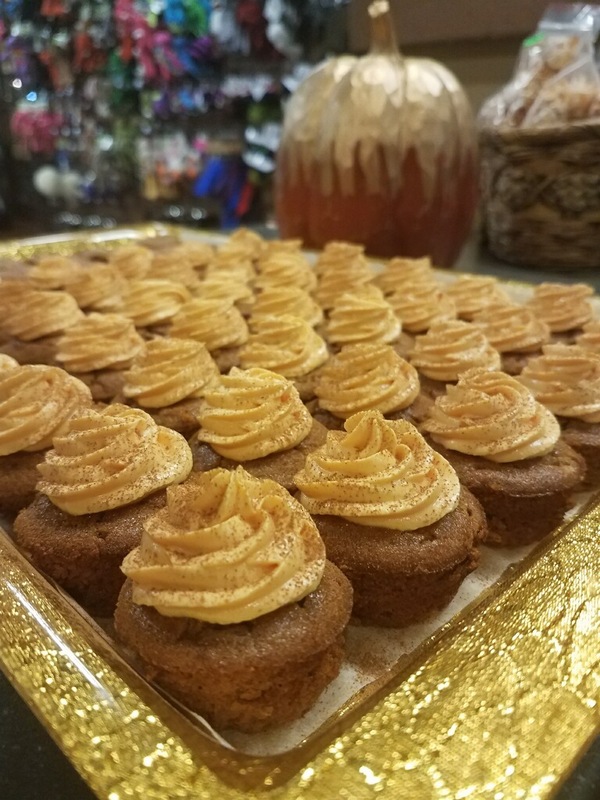 Your pooch will love the Pumpkin Cheesecakes, Pumpkin Cranberry Bread with Yogurt Dipping Cream, and Pumpkin Molasses Cookies. Last Small Town plays everything from the brother duets of the 30s and 40s to the Stanley Brothers to Bill Monroe to country and rock covers. They also feature their own songs and plenty of bluegrass and old time fiddle tunes. 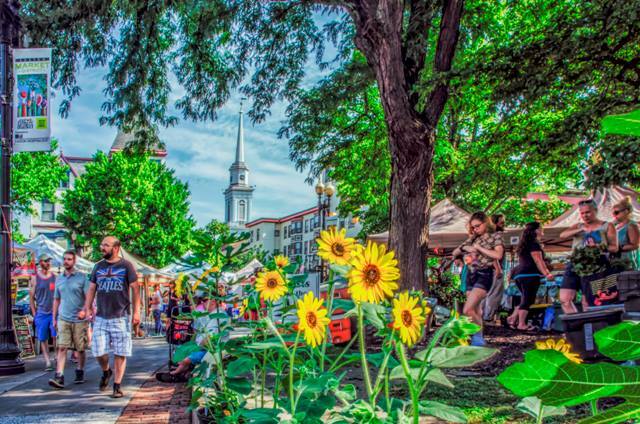 So get ready to stomp your feet to the bluegrass beat at the EFM Music Tent on the North Lawn of the Circle from 10 am to 12 Noon. 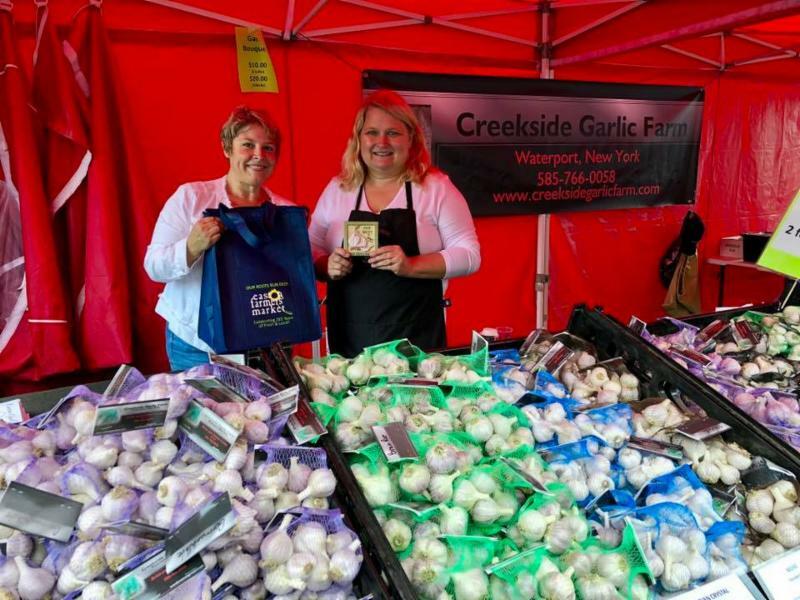 Congrats to Creekside Garlic Farm on winning the Easton Farmers' Market's Garlic Growers Tasting Competition last weekend. 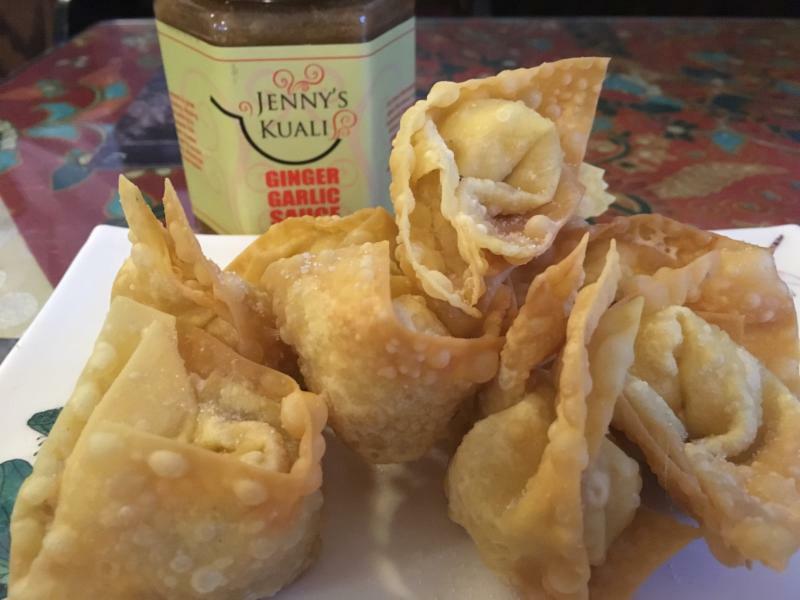 They traveled all the way from Waterport, New York (on the Canadian border) and took Best in Show with their Brown Rose garlic.